True Confession. I do not have #FlipGridFever yet but after my experience this weekend, I'm beginning to warm up to the tool. When the FlipGrid buzz began, I played with it but without captions, I quickly caught a #FlipGridCold. To be fair, I did appreciate the ease of use and could see many possible classroom applications. Fast forward to this past weekend at the EdTech Team Roseville Summit. After receiving an email requesting participation in an Event FlipGrid, I took the opportunity to take another look at FlipGrid. Other presenters had already recorded videos and I began to watch them and was pleasantly surprised to see a CC button. Since the sound was already off on my device, I continued to watch with only the captions. They were not perfect but there were no really egregious errors. Names were usually wrong and some parts didn't make a whole lot of sense. Since the sound was off, I'm not sure if the errors were because of background noise, audio quality, or enunciation. I wondered whether or not editing of captions was available. This question was quickly answered by a FlipGrid blog post from 1/2/18, FlipGrid is Accessible to Everyone. 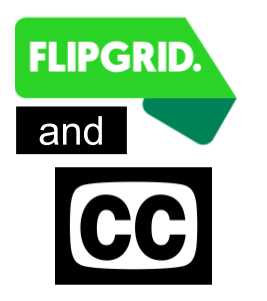 Even though caption editing is not available FlipGrid says it "should be available in the near future." The blog post described that a transcript could be uploaded. I quickly created a transcript in Google Docs before recording and began trying the auto-captions on my own voice and grid first. Following my first recording, I waited and didn't see the captions. By re-reading the directions more closely, I realized that teachers have to activate Closed Captions under their Grid Settings. Oops! Flipped that switch then I re-recorded my video and published it to my grid. Captions do not immediately appear. You need to wait a relatively short time and then you'll see the CC button when they are available. Watching this attempt, I noticed a number of errors in the captioning such as the word "Collaboration" became "Corporation" or "I'm" became "Hi." You can tell the program really is trying to match actual words with what is being said. There were no made-up, nonsense words just lots of words that didn't make sense in context. On that attempt, I didn't initially see where to upload the transcript. Re-read the directions and started another new recording. This recording had fewer but different errors and I uploaded the transcript file as a link. The transcript file functions as an attachment almost not as an upload file with auto sync feature like Google Drive or YouTube has for their videos. Finally, I moved on to recording on the Summit grid. 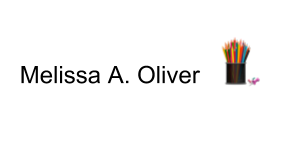 Did one recording, added my transcript link and hit publish. There are two errors in the final recording. The practice of the multiple recordings along with advance knowledge of which words the program struggled with caused me to enunciate those words and really try to articulate as clearly as possible. In the end, I am warming up to FlipGrid. Not yet feverish, but who knows what the feature holds? I look forward to seeing the edit caption feature. I am concerned that the blog posts says, "Our team is working hard to allow teachers the ability to edit the Closed Captions." I hope this ability is not solely limited to teachers. Empowering students to create accessible media and providing them a platform and interface to achieve this aim helps build awareness and understanding regarding accessibility. You don't need a teaching credential to create accessibility. 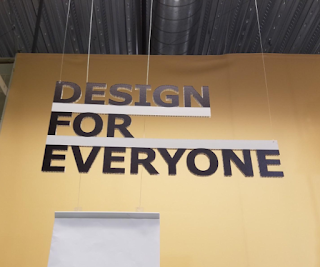 Everyone is able to create accessibility by making accessible design choices, including students.